Rosenstock wrote POST- in the months following the 2016 presidential election — it reaches across the full spectrum of anger, acceptance and action. Rosenstock constantly waffles between resignation and resolve, especially in the chorus to "All This Useless Energy": "I'm worried of abandoning / The joys that framed my life / But all this useless energy / Won't hold me through the night." 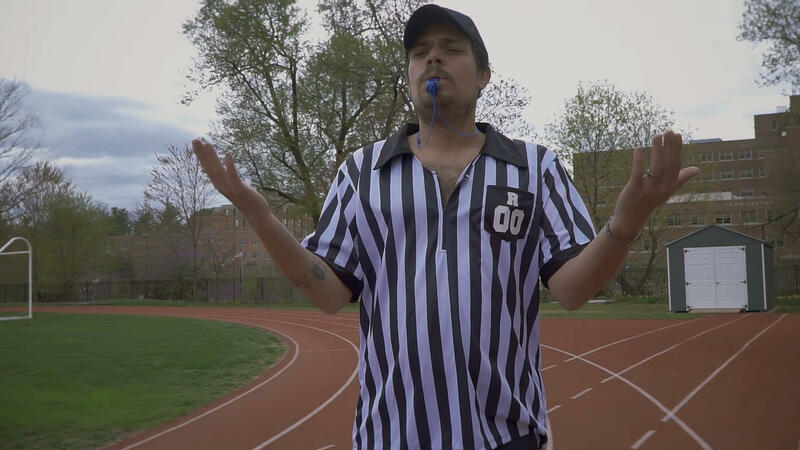 "In the spirit of expending 'useless energy' we thought we'd really dig in and make as serious of a sports video about as stupid of a sport as possible," director David Combs says of the video. That's the thing about energy: you can't create it, and you can't destroy it either. But one can try. POST- is out now via Polyvinyl Records.